China's economy has posted its slowest growth since the financial crisis, erasing hopes of a quick recovery for the world's second-largest economy. 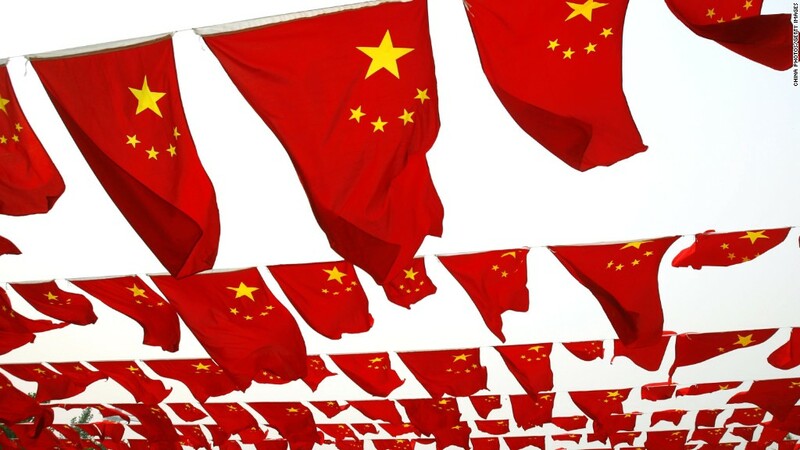 Gross domestic product expanded by 6.9% in the third quarter, compared to the same period last year, according to data released Monday by China's National Bureau of Statistics. While the GDP figure was better than the 6.7% rate expected by economists surveyed by CNNMoney, it marks a deceleration from the 7% expansion in the first half of the year. Analysts have known for a long time that China's growth would slow. It had to weaken, in fact, as Beijing made reforms designed to shift the country away from relying on building roads, railways and housing to generate growth, to an economy powered by consumer spending. That's happening now. Beijing's growth target for the year is 7% -- a goal that was met in the first six months. Seven percent is a far cry from the heady days when China was pumping out GDP growth of 10% on a regular basis. But it's also strong enough to maintain employment levels. Louis Kuijs, an economist at Oxford Economics, said the GDP data indicate China has avoided a sharp slowdown. However, incremental stimulus measures will be required if Beijing is to keep its growth target within range. Chinese President Xi Jinping has acknowledged worries over the slowdown, which has hit global commodity prices and slammed countries that depend on exports to China. "As an economy closely linked to international markets, China cannot stay immune to the lackluster performance of the global economy," Xi told Reuters in a rare interview released over the weekend. "We do have concerns about the Chinese economy, and we are working hard to address them." This month's annual meeting of the Communist Party will be watched closely for signs that Beijing may be ready to intervene more aggressively to boost growth. The government is expected to unveil its five-year social and economic plan for 2016 to 2020 at the meeting. Experts say the government will likely continue with piecemeal stimulus to support the economy and keep risks at bay. The central bank has already cut interest rates a handful of times this year, and told banks they could lend more.